Tropical Storm Otto is now in the Eastern Pacific, headed westwards away from Central America, after making landfall on Thursday as a top-end Category 2 storm with 110-mph winds over southern Nicaragua. Otto’s heavy rains are being blamed for four deaths on November 22 in Panama, and at least five others are missing there. These deaths are the second latest deaths on record from an Atlantic named storm that we are aware of; the only killer storm on record later in the year was Tropical Storm Odette, whose floods killed eight people in the Dominican Republic after making landfall on December 6, 2003. Damage from Otto may be relatively light for its strength given that the hurricane made landfall in a very sparsely populated part of far southern Nicaragua. Otto’s circulation survived its trek over Central America remarkably well, as the center emerged from the west coast of Costa Rica as a 70-mph tropical storm. In records dating back to 1851, Otto is the only tropical storm or hurricane whose center moved over any part of Costa Rica. Otto is also the Atlantic’s latest hurricane landfall in any year, and the latest Atlantic hurricane to reach Category 2 strength in any year. Figure 1. MODIS satellite image of Otto taken at approximately 11 am EST, November 24, 2016--Thanksgiving Day. At the time, Otto was a Category 2 storm with 110 mph winds about to make landfall in Nicaragua as the strongest Atlantic hurricane ever observed so late in the year. Image credit: NASA. Figure 2. Civil Defense workers look at the area where a couple was killed after their home was destroyed by a mudslide in Arraijan on the outskirts of Panama City, Panama on Nov. 22, 2016. Image credit: AP Photo/Arnulfo Franco. According to insurance broker Aon Benfield, at least four people were killed in Panama, including two who were trapped in a landslide that struck just west of Panama City. Seven people were rescued from the slide. The third fatality was reported as the result of a toppled tree in Panama City while the fourth was as the result of drowning in the swollen Utivé River. Five people were officially listed as missing. As of 10 AM EST Friday, Otto was located more than 150 miles west of Costa Rica, with top sustained winds still at 65 mph. Few tropical storms traverse the East Pacific this far southeast, and computer models have been struggling to capture Otto’s initial state and come into agreement on its future. The rough consensus is for a steady-state tropical storm over the next several days, with some weakening thereafter. Otto will be moving over warm water with sea surface temperatures of 28 - 29°C (82 - 84°F, or about 1 - 2°C above average) with moderate wind shear of 15 - 20 knots and a reasonably moist atmosphere (mid-level relative humidity around 60%). The 06Z Friday run of our most reliable intensity model, the HWRF, projects a gradual weakening, with Otto close to the bottom threshold of tropical storm strength by next Wednesday. Meanwhile, statistical models, including the 12Z SHIPS run, suggest that Otto could actually gain some strength by early next week. The 10 AM EST Friday outlook from the National Hurricane Center (NHC) predicts that Otto will weaken to a post-tropical remnant low between Tuesday and Wednesday. Tropical Storm Otto is the first storm on record to carry the same name while moving from the North Atlantic to the Northeast Pacific or vice versa. In all such prior events, NHC policy was to assign a different name when an identifiable tropical cyclone moved from one basin to another. NHC’s subsequent name-retention policy was adopted more than a decade ago, but Otto is the first storm to put the rule into practice. Under the old rule, five tropical storms or hurricanes--including the most recent, Hurricane Cesar-Douglas (1996)--underwent a name change when moving from Atlantic to Pacific or vice versa. A few other “crossover” tropical cyclones have been recorded, most of them moving from Atlantic to Pacific rather than vice versa. Some of these were no more than a tropical depression in one or the other basin, which meant that only one name was used during the entire life cycle. The most recent of these was Hermine (2010), which formed as an East Pacific tropical depression before entering the western Gulf and striking the northeast coast of Mexico as a tropical storm. As part of the new naming convention, Otto in the East Pacific has been assigned a different ID than Otto in the Atlantic under the U.S. Automated Tropical Cyclone Forecasting System (ATCF), even though the storm has the same name and is considered the same cyclone in both basins. 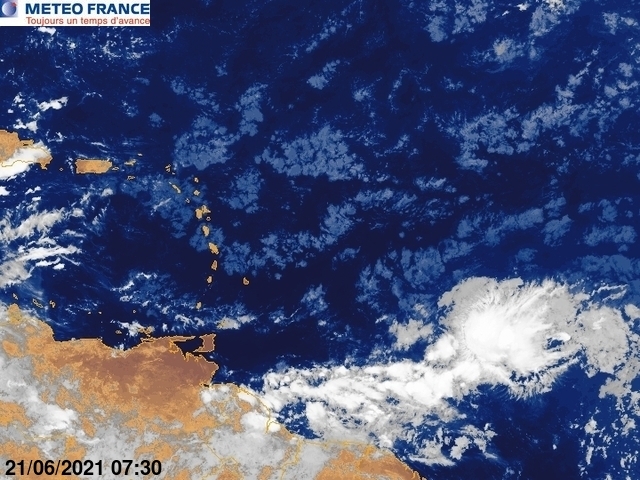 This is playing havoc with various online platforms that map and archive tropical cyclones. At the National Hurricane Center’s website, and on our own site, you’ll see a Hurricane Otto in the Atlantic and a Tropical Storm Otto in the Pacific depicted as two separate tropical cyclones. It appears that the two life stages of Otto will be considered separately when calculating storm totals and Accumulated Cyclone Energy for the 2016 Atlantic and East Pacific seasons. Hurricane landfalls from January to November?! Between the landfall of Hurricane Alex in the Azores in January and Otto's landfall in Central America this week, 2016 will break the record for the most prolonged calendar-year hurricane season in Atlantic history (the 1938 season is close behind, although that one wasn’t bracketed by landfalls). "WX Geeks" host Marshall Shepherd reflects on this "year-long" hurricane season in a Forbes essay published Friday. We’ll be back with our next post on Monday. Enjoy the weekend, everyone! Hmm, you can tell it's the holidays, Firefox is messed up, https://weather.msfc.nasa.gov/GOES/ is messed up and Wunderground is messed up. Many thanks for the continued coverage of Otto over the holiday. You guys are most appreciated! Have a great weekend as well! Talk about a storm. Most storms can't make the passage and certainly most are not around this time of the year. Thanks for the update gentlemen! I guess Otto has it's own plan. Sorry to hear of the loss of life with the storm. Any chance this storm could be reclassified as major in the post storm analysis? inches of snow should fall above about 5000-5500 ft elevation. deserts, and a few gusts to 40 MPH could occur near the beaches. We didn't go to any family gatherings this year so it was very quiet and I got out of driving over 120 miles or so. My SiL dropped off a Turkey breast and some corn and I made some mashed potatoes and gravy. Much more calm this year. I expect the storm to be upgraded to a major hurricane in post-season analysis. Next frontal system headed into the West Coast. Pseudo-eye marks the surface low, moving eastward toward Cape Mendocino along a stationary front with a sharpening cold front developing to its southwest moving over progressively milder SSTs. Rain forecast to spread over California tonight. Possibility of a wave developing along the frontal boundary as it nears the coast depending on how the jet stream behaves, which would enhance ppt. Good snowfall forecast for the Sierras. Water vapor image shows oddity of very dry air southeast of Otto coming in from the Southern Hemisphere with less dry air coming in from the Mexican landmass. Now on third jump shift to new blog. Still not understanding what is going on with main page. The most annoying thing was reading messages of some Costa Rican people "disappointed" because in their areas "birds were singing and nothing happened. Is that all ? ". They felt "betrayed". Those idiots should feel lucky they have never been on the path of one of those monsters. If they are in search of such kind of emotions, they are free to pack their stuff and go to make the stormchasers. Here in S.W. Florida our last measurable precipitation was on October 12th (around 44 days with no rain). 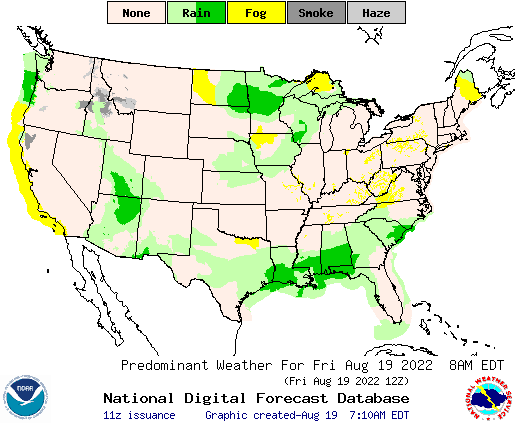 If this continues we'll be added to that drought map too. Otto’s circulation survived its trek over Central America remarkably well, as the center emerged from the west coast of Costa Rica as a 70-mph tropical storm. I thought it was 65mph? Made our biennial T-day trip down to Indio, and got rear-ended on I-15 north of San Bernardino. Now we have to get the two insurance companies to pay for a rental car that will get us home to Truckee in the snow on Sunday. Oh, and the food and company were great. Scientists have taken to Twitter to talk about all the important work NASA's Earth science program does, using the hashtag #ThanksNASA. According to this, Otto was still a strong Cat-1 or weak Cat-2 over 100 miles inland from the coast. This mean that areas that seldom see hurricane force winds took a direct hit...This is sad. Total first for me. I've never tracked a ATL-EPAC crossover. ...WINTER WEATHER ADVISORY FOR BLOWING SNOW IN EFFECT FROM 5 PM SATURDAY TO 5 AM AKST SUNDAY THROUGH TURNAGAIN PASS... THE NATIONAL WEATHER SERVICE IN ANCHORAGE HAS ISSUED A WINTER WEATHER ADVISORY FOR BLOWING SNOW...WHICH IS IN EFFECT FROM 5 PM SATURDAY TO 5 AM AKST SUNDAY. * SNOW...4 TO 9 INCHES. * VISIBILITY...REDUCED TO ONE HALF MILE OR LESS AT TIMES. * WIND...EAST 20 TO 25 MPH WITH OCCASIONAL GUSTS TO 35 MPH. Earlier on Friday, there was no snow. Now, in 8 hours or so, some 5 - 10 cm has fallen. Blah. I want spring to come. We had 1/4-12 inch by this morning... Not sure what that is in CM... Maybe 1? Don't worry only 7 more months of winter. How do you distinguish "climate change research" from climate research in general? Is this fool suggesting we don't need climate research at all? Otto moving SSW or just a re centering? Otto is expected to make a sharp NW-N turn in 2-3 days??? Has any Tropical system ever gone IN THIS ePAc AREA from Northern Hemisphere into a Southern Hemisphere and kept its N. Hem Tropical designation? TS in n. hem ePAC goes into s. hem ePAC, stays as a T.
did a simple search did not find one, can't search wxu too slow of a connection. MEDIUM-RANGE MODELS REMAIN IN FAIRLY GOOD AGREEMENT WITH THE OVERALL EVOLUTION OF THE MID-UPPER LEVEL FLOW PATTERN FOR DAY 4 (MONDAY) AND DAY 5 (TUESDAY)...WITH THE CONTINUED DEVELOPMENT OF A HIGHLY AMPLIFIED TROUGH SHIFTING EAST AND ENCOMPASSING MUCH OF THE CONTIGUOUS U.S. BY LATE DAY 4 (12Z TUESDAY). THE NEXT SHORTWAVE TROUGH MOVES INTO THE BASE OF THE LARGE SCALE TROUGH ON TUESDAY... WITH MODELS DIFFERING IN THE AMPLIFICATION OF THE BASAL TROUGH AS IT MOVES ACROSS THE LOWER MS AND TN VALLEYS ON DAY 6 (WEDNESDAY). WHILE A LARGE SCALE CLOSED LOW CONTINUES TO EVOLVE ACROSS THE NORTH CENTRAL STATES THIS FORECAST PERIOD...THE DAY 2 SHORTWAVE TROUGH REACHING NORTHERN/CENTRAL CA IS EXPECTED TO PROGRESS EAST FROM NM THROUGH TX MONDAY AFTERNOON...AND THEN TRACK NORTHEAST TOWARD THE OH VALLEY MONDAY NIGHT. HEIGHT FALLS WITH THE EASTWARD MOVEMENT OF THE LARGE SCALE TROUGH WILL SUPPORT STRENGTHENING...VERTICALLY VEERING WIND PROFILES. IN THE LOW LEVELS...THIS WILL MAINTAIN AN INFLUX OF MOISTURE FROM DAY 3 INTO DAY 4 AND SPREAD INTO THE LOWER MS VALLEY. THUNDERSTORMS ARE EXPECTED TO INCREASE IN COVERAGE AND INTENSITY ALONG AND AHEAD OF A COLD FRONT ADVANCING EAST FROM THE SOUTHERN PLAINS TO THE LOWER MS VALLEY. THIS SOMEWHAT LOW CAPE AND HIGH SHEAR ENVIRONMENT IS EXPECTED TO SUPPORT ORGANIZED SEVERE STORMS... WITH THIS OUTLOOK MAINTAINING A 15-PERCENT SEVERE-WEATHER PROBABILITY. THE SEVERE WEATHER THREAT AREA HAS BEEN EXPANDED EAST INTO MORE OF THE LOWER MS VALLEY AS THE LATEST GUIDANCE PER 00Z ECMWF SUGGESTS THE COLD FRONT ADVANCING FARTHER TO THE EAST THAN PREVIOUSLY FORECAST. ALTHOUGH SHOWERS AND THUNDERSTORMS WILL BE POSSIBLE ACROSS THE CENTRAL GULF COAST STATES INTO THE SOUTHEAST...SUBSTANTIAL UNCERTAINTY IN AVAILABLE INSTABILITY PRECLUDES ANY SEVERE WEATHER RISK AREAS AT THIS TIME. Blast of colder drier air moving in on strong winds behind the cold front approaching the West Coast. SST is 60 F so convective showers are likely after frontal passage. ..HURRICANE FORCE WIND WARNING SATURDAY.. MIDNIGHT. SEAS 13 FT. RAIN. 42 foot seas?!! wow Hope the fishing fleets are in port. hope you had a ful(l)filling thanksgiving. If Otto goes back in the gulf, will it still be Otto? You're talking funnilly. Be you OK? Myron Bell is a science denier. He thinks climate research is silly. He thinks environmental regulations are silly. He thinks humans have no impact on the planet, and has been in the back pocket of the Koch brothers since forever, with a little extra on the side from assorted fossil fuel groups and conservative think tanks. And for the cherry on top of this turd sundae, he has no degree in any field even remotely related to science. So of course he's the best qualified person to run the EPA, amirite? On Black Friday. The irony. This is good. A lot of people I know in Broward and Dade are happy. My coworker who was former Cuban Army/Medical Scientist is happy. There is still Raul however but good news all around. Awaiting the day when cold war mentality between Cuba and US begone entirely. Lots of people can't believe they're alive to see this. Go on vacation and the world does its thing. Finally saw the sun today after another wet week here in Acme, Wa. Just shy of 9" for Nov...and of course its raining again this evening. Opening day at My Baker ski area so instead of jostling with the crouds heading up to the NE side of the volcano, my wife and I hit the SW side and had the Ridley creek trail all to ourselves. Mile of mud, mile of slush and a mile of breaking trail through deep fresh snow. Close to 3' deep at about 4400'. cuba? back in the late fifties they had a corrupt govt and the people were ready for change. if it wasnt Fidel it might of been another revolutionary. now look at today and the other countries in the region? anyone really doing much better than cuba? PRicos broke facing a huge debt. Mexico and most of the latin american countries people are afraid to go out in the dark. fact is cuba is still one of the carib. leaders and most likely will be in the future. He was an oppressive dictator who brutalized his countryman. And those were his good points. 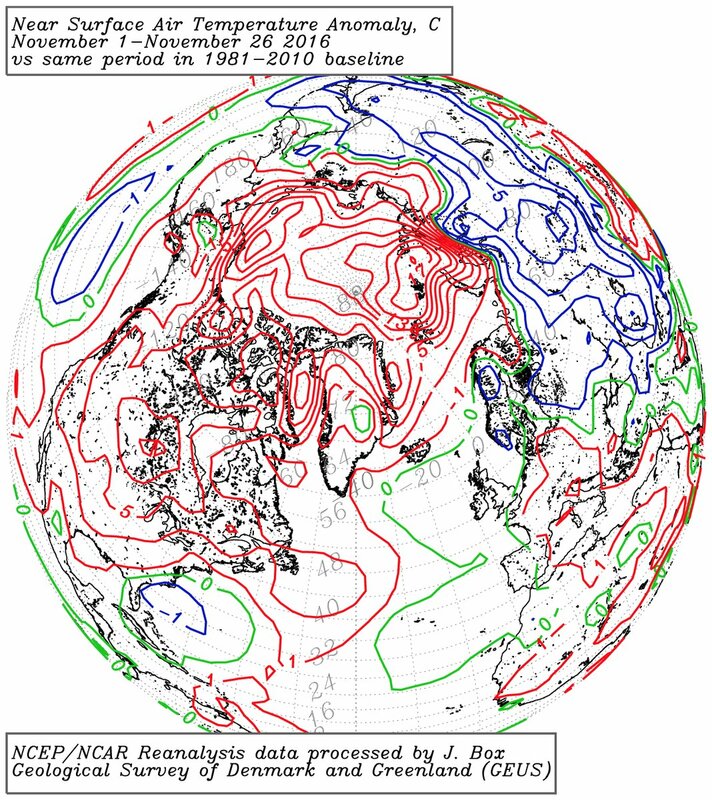 Temperatures in the Arcticare currently about 20C above what would be expected for the time of year, which scientists describe as “off the charts”. Sea ice is at the lowest extent ever recorded for the time of year. 100s rescued at the border of nicaraqua and costa rica. sounds terrible. What, are we celebrating ignorance and science denial? Why would you ask that, Naga? Good Morning. On the death of Fidel Castro, good riddance. My Father was born in Cuba in 1926, joined the Cuban Air Force in 1945, was a pilot/aviator until 1960 when he had to flee Cuba (he and his crews dropped a lot of bombs on Fidel and his rebels), went back and flew/fought in the Bay of Pigs, then became a CIA contract aviator dropping more bombs on Communist rebels in Africa and Latin America (who routinely pillaged villages and killed innocent men, women, and children) in the 1960s-70s and he also turned 90 (same age as Fidel) last week. I just called Dad and he is a happy man today because Fidel executed or jailed many of his friends (for 20 year terms) who were not able to get out. His biggest regret is the memories of his friends and of how Fidel won the revolution (perhaps rightfully so against a corrupt Batista regime) but then dupped all of the Cuban people by declaring, after he consolidated his power, that he was actually a Leninist-Communist and that the Cuban "revolution" was actually a Communist one. That is the real story of Fidel Castro..............An egomaniac dictator with a great hatred of the United States. I can tell you a lot more but this is a weather blog but noting some of the comments. Sorry to hear about the loss of life from Otto and hope that everyone had a great Thanksgiving. Weather Underground is a commercial weather service providing real-time weather information via the Internet. 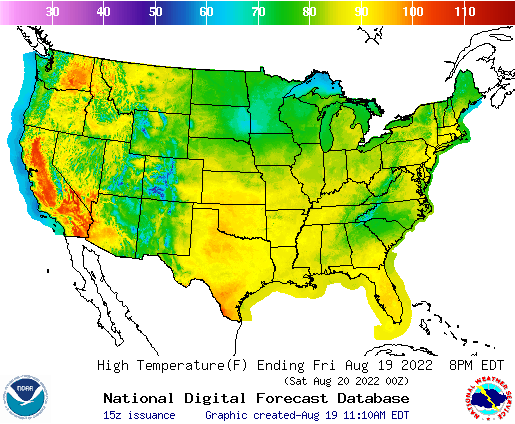 Weather Underground provides weather reports for most major cities across the world on its website, as well as local weather reports for newspapers and websites. 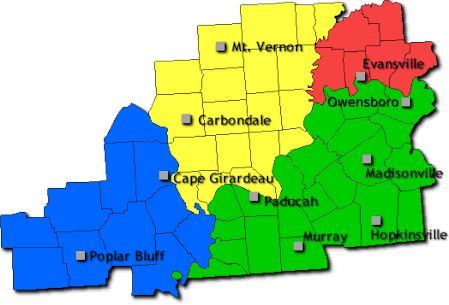 Most of its United States information comes from the National Weather Service (NWS), as federal law specifies that information from that agency falls within the public domain. The website is available in many languages, and customers can access an ad-free version of the site with additional features for an annual fee. Weather Underground is owned by The Weather Company, a subsidiary of IBM. It airs from 6-8pm ET on TWC, and very rarely it would gain two extra hours (ending at 10pm ET) during storm coverage. And IBM is the owner of WeatherUnderground!!!!!!!!!!!!!! And as a point of history, the Cuban military knew he was a Communist in the late 50's because they often found Communist literature when they captured rebels and their camps but their warnings on this issue to the Cuban leadership and people fell on deaf ears because Fidel never mentioned it and clothed the revolution as a war of independence against US colonialism...............The Cuban people never suspected that he would become a Communist dictator until it was too late. I have a friend who as a child lived during the revolution in Cuba, his family escaped to Puerto Rico, his dad was an Attorney, he told me of a story when the Revolutionary army pulled his neighbors out of their house early in the morning, lined them up against the house and machine gunned them all, killing his 9 year old best friend and his 6 year old sister. When I saw President Obama in Cuba sucking up to these animals I almost puked! Hasta la vista to Fidel and Barrack for sucking up! hope america never forgets what happened to many americans when we go meddling into other countries affairs. i will never forget vietnam and the brave americans that fought there.. thankfully for myself and friends the draft stopped right before i was eligible. I take a different view point; my Dad was happy to see the Embargo open up under Obama, even though Dad is a conservative Republican, because he knew/knows how much it hurt the Cuban people in the long run and how much Castro used the Embargo as a weapon against his own people by blaming the Embargo/US for his own failed economic policy; same reason my Dad and I are very nervous about the Trump overtures towards Putin.....................I suggest that you need to read "The True Believer" by Eric Hoffer before making off the cuff comments and mixing apples and oranges. Respectfully, you don't have a clue based on your comment. Board is oddly quiet this morning. I wonder why that is? Seems like we have to keep relearning the lessons of the "law of un-intended consequences" over and over. Too much politics and perhaps my fault but the Castro issue is near and dear to my heart (I met several of my Father's friends in the late 70's after they were released from long prison terms and allowed to emigrate to the US; rail thin and crying when they walked into a US supermarket and seeing all the food and regular people shopping). came onshore in Puerto Rico and the northern U.S. Virgin Islands. records began. The previous record was 15.96 inches in 1976. I will always remember Fidel and what he have done for our country. You see, my country once being taken by the Americans from the 50s to 1975. And Fidel was the person who helps my country by giving ammunition and workers to the government. It's his merits that we have our freedom today. R.I.P our friend, Fidel. And R.I.P all people have died in the landfall of Otto. Anyways I see interesting things in the models this morning. So I pray for some good rains. The decades-long Cuban Embargo was an absolute failure. It's singular purpose was to propel a revolution that would push Castro out of power, a goal that, obviously, didn't work. In fact, Fidel and Raul's tag team outlasted ten US Presidents--Kennedy, Johnson, Nixon, Ford, Carter, Reagan, Bush I, Clinton, Bush II, and Obama--and the only people to really suffer were the poor citizens of Cuba. Some of the old expatriate hard-liners in Miami and Tampa were always violently opposed to even the slightest whispers of rapprochement, but most of them are going or gone, and 2nd--and 3rd, and 4th--generation Cuban-Americans, and pretty much anyone else capable of taking the global view of things, see that Embargo as a once-good idea that should have been jettisoned many years ago. By any objective standard, Obama's reopening of relations with Cuba is a very good and very welcome thing; we can only hope against hope that the incoming administration ignores half-century old prejudices and ignorance and relies instead on logic, common sense, and compassion when deciding what to do with Cuba vis-a-vis the United States. Christ man. This is really serious. I hope you get at least 2 inches on Mon thru Thurs. 11, you left out Eisenhower. Yes it's the CMC but all the models agree that something will happen near the islands next week. Fair enough, this time of year especially I should keep it under 120hrs. So how many deaths did American invasions and interventions in other countries result in? The numbers will be in the tens of millions. I think, that during the Cold War, in most small countries, there were two stable forms of government. 1) A dictator, which adhered to communism, and as such, acquired the support of Soviet Union. 2) A dictator, which adhered to capitalism, and as such, acquired the support of USA. That often meant having generous land-owning policies, to let U.S. companies acquire much land in such countries, putting local agrarian population into virtual serfdom. Democracies were inherently open for massive superpower meddling in their internal affairs. In Latin America, only Brazil and Mexico seemed to be big enough to resist such meddling, but Brazil was internally unstable already since the collapse of monarchy in late 19th century. Castro regime was no more evil than the U.S.-backed Pinochet regime in Chile, or U.S.-allied junta of Argentina. But Cuba remains the only staunch dictatorship of America. Perhaps, after the younger Castro also succumbs to old age, there will be a transition to democracy. Or at least some Xiaoping-style economic reforms allowing for living standards to improve. Perhaps, someone on this blog can help me. I have been having issues with Wunderground since shortly before Thanksgiving. First the blog would not update on the main page such that I would have to click through as many as 4 blogs to get to the current one. Now much of the Wunderground page does not load. Not even the current forecasts and certainly none of the blogs. I have deleted the cache for Wunderground, signed in again, all to no avail. Anyone know what is going on here? They just forgot to update the link, I think. When this happens, click on "News and Blogs" on the main banner at the top of the page, then select "Dr. Masters." That will almost always take you to the most recent blog entry. As for your other troubles, I'm not sure what might be causing that. Internet Explorer does a poor job for me in displaying this site. I always browse it with Google Chrome and have no problems. For us who are typically more staunchly predisposed to Western Idealism & possess an immediate polemic against anything other than democracy -this terse but relevant point can be a bit of a bitter pill to swallow... Nevertheless, in light of the bigger regional or global picture there is truly undeniably veracity in your point, and much food for thought in respect of case in point unadulterated reflective socio-economic/political frankness. Rather insightful indeed. Re:- the tropics and the ominous outlook depending on which model one is following; the threat does exist for potential severe weather for the Leewards and some of the windward isles -lets hope that nothing devastating results or anything near the likes of Otto materializes. My continued prayers for all those who Lost Loved ones in Central America as a result. Eternal Rest Grant unto them Oh Lord! May they Rest in Peace! But...but...but...Doesn't the G in GFS stand for Gospel? I think given everything that has happened recently, we've gone beyond celebrating it and are now simply wallowing in it. Greetings Keep...Hope you and yours had a Happy Thanksgiving...Is that a nudder blob tryin to spin up down there..? I'm using Chrome and having the same issues. Hello Elioe.... If Cuba is going to experience any beneficial changes, it will take a whole lot more De-Castroism to get anything accomplished. Its a safe bet in my opinion that Trump and Putin will be just like old friends until some statement or action triggers the N rage phenomenon....Then pray neither of them are within reach of any Nuke device. Death toll in Costa Rica for the hurricane Otto stands at 9. Most affected areas, as i had predicted several days ahead are Upala and some hill villages above Bagaces. The 10 day Wunder Bestcast works. If your settings are for the 7 day NWS forecast and the 7 day won't load it's also locking your settings (the gear in the upper right). To get to Bestcast, first go to any other wunder page that isn't a forecast page, then the gear in the upper right and change preference to Bestcast. I won't declare this season finished until New Year's Eve. Models predict above-average rainfall for the entire Caribbean in December. As if the ITCZ was to remain abnormally far to the north. The area around Lesser Antilles should have below-average shear. Perhaps some off-season surprises like Alice of 1954-55. What about TS Olga in December 07, 'credited' withh 33 deaths? 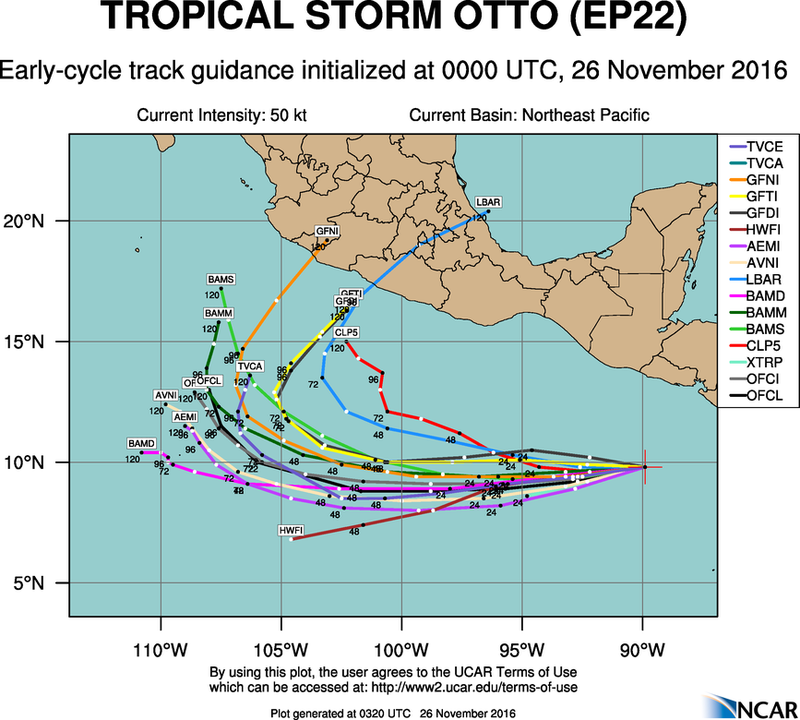 Looks like Otto wrapped up both the Atlantic and Eastern Pacific hurricane seasons. Crazy way to end a crazy year. First hurricane to form in January since 1938 (Alex). Most active Atlantic hurricane season since 2012. Might have missed some, but those are the major ones I can think of. Without a doubt the wildest hurricane season since 2012. Obviously, the highlight of this season will be Matthew, but it's been a wild ride from Jan-November. Been having trouble lately with both firefox and opera, but only here. Quiet since for some reason when you click on the blog it takes you back to the blog on the 22nd. Took me a while to figure out to get to the current one. I am no novice either so many wondering why it is not updating off the home page if they think to look. I'm on chrome in mac os and the site simply won't load. Never had this before. I get all of the outlines but no forecast, no blogs, no radar. Anyway the weather is a nice and sunny 35F here with a few inches of snow on the ground. Looks like Otto is finished unless we get a December storm this season has ended, certainly an interesting season with things other seasons haven't accomplished. BLANCAS...MOVING SOUTHEAST AT 10 KNOTS. A few hours rain anyway......keep em coming. What about TS Olga in 07, 'credited' withh 33 deaths? Highest seasonal ACE (136) since 2010. Just started at my place! keep it coming! Well with an ACE of 135, 2016 has gone past 2012's tally of 133 making it the most active year since 2010! My 2016 forecast did pretty good. I predicted in April that we would have 15 to 19 storms, 7 to 9 hurricanes and 3 to 5 major hurricanes with an ACE of 140. The final numbers should be 15-7-3 135. Except for the fact it is no longer a system. Looks like Otto was was last storm in the Atlantic and Pacific. Good evening H.T...I do not like to see " killing " period.....This was a complex and long series of events leading up to, and the eventual overthrow of Batista,s corrupt government. Batista did something that American government considers a cardinal sin, and that is to suspend the Constitution and take away the liberty of citizens. Some folks have been trying to do that here for a very long time, by increasing the gap between the rich and the poor, and becoming extremely wealthy in the process. Most Castro's wealth came from deals made through the American Mafia and governmental manipulation, killing tens of thousands in the process. Castro may be a " champion " to you, but by adopting the communistic Marxist type government that is responsible for killing millions, backing and supporting other counties to do the same thing, is not only wrong, but a blatant violation of Human Rights Laws. Him and his socialism schemes,and working the same unlawful trades that mimic organized crime that happens around the world, plus gaining tremendous personal wealth at the same time, hardly makes him a hero in my opinion, and millions of Cubans that felt the same way back in the late 1970's, left the country, ended up in Southern Florida where I lived back then. It was a disaster, crime rate skyrocketed because of it. I understand where you are coming from, but Castro is not a hero from my viewpoint....There are many folks from Southern Florida would agree with me on this..
"2017 and 2018 will be the most active and dangerous in more than a decade"
"2017 Hurricane Season: Will be as Dangerous and possibly more Expensive than the 2016 Season"
Hello Slu...I mentioned earlier this year that the hyperactive phase wasnt over yet..If it did end, it certainly would have been one of the shortest active phases recorded. To be honest, 2015 showed us the Atlantic still had life in it with one of the biggest El Ninos ever but we still had quite a bit of activity. Only the dry air in July to September prevented 2016 from exploding like 2010. So if the dry air stays away next year, we could see a pretty big season with no El Nino on the cards. I`m, a person with Cuban heritage background, a very cruel embargo, and intent to starved a poor weaker neighbor. Just because they decided to have a different political system. Not presenting danger to anybody. The "Misiles crisis " is gone, and the Soviet Union as well. But the embargo persist. A giant "masada", nevertheless they succeeded in many ways, education, life expectancy, sports and a great health system envy by many, A miracle that they avoided famine. All those accomplishment due to the embargo, without almost any resources, specially after the fall of the Soviet Union..
That outfit seems to believe we're headed into an ice-age in a couple of years...for reals. Addendum: Kori's first ever hurricane chases in the form of Hermine and Matthew, of which he remains gleefully proud. Define "big season", because a very active season can still end up a low-impact season overall, as years like 1984, 1990, and 2010 demonstrated. And I'm not talking strictly about the US, either. I feel like there's a misconception that more storms = more landfalls. Statistically, you'd certainly have a higher chance of getting a hurricane strike somewhere the more storms you have, but it doesn't always hold true. We got "lucky" that we had a persistent enough ridge this year to give the Caribbean three hurricanes, and of course, Hermine and Matthew into the US. Remove the ridge and it'd probably be the same slew of junk we've seen for years. Having said that, I do agree that 2017 should at least be near-average. Even if you assume -AMO/ PDO multidecadal cycle is now at hand like I do, the climatological return period of El Nino's during the last such period in the 1970s and 1980s wasn't that swift. I try to split a little kindling every day. LPL. Clicked "post comment" and got a message that said "no such entry." But I see the comment posted just fine anyway. I've been having issues with this blog for days. In fact, entry 3510 is still the one that's appearing on the hurricane page for me. I've had to change the URL in order to access this one. Hi Kori, My habit is to access this and all blogs from the blog list. No problems that route. Only troubles I have is signing in. (Add: Well, other than the aforementioned non-existent existence.) Now, when I sign in, I get the weather page for Atlanta GA. Used to be at sign in I came back to the same page I logged in on. Some snow tonight. Checking the model run percentages on Der Weatherschnitzel app has been making the household kiddos nuts. Yay! 80%*! Boo! 20%*! Yay! 50%*. and so on. We're looking like to expect our typical 3ish inches of snow in the early morning hours. Kiddos are happy. The pigs will grump, and the goats will blame me for it of course. And I'm darned glad I put that cat door in my trailer. One of the feral farm cats showed up last night, my happy trailer cats just shifted over and made room. He actually ended up on the bed on my legs until the alarm went off. I'm wondering who else is gonna sneak in when the snow starts. Now that the hurricane season is almost over, here is the list! Please fill in the blanks with nicknames. Some have already done for you, but you can edit these as well. Have fun!!! Matthew will certainly be retired but not sure about the others for now. Wearing socks tonight in the Florida Keys - yes really. for Key West date back to 1872. Matthew will obviously be retired, but I wouldn't be surprised if Earl is also retired for its death toll in Central America. Indian Hills PWS showed .12, How much did you get JOE?? Good soaking rain and a period of strong winds early this AM with the frontal passage here in the SF Bay Area. On and off instability showers all day and continuing right now, forecast to continue thru tomorrow. No thunder yet, and no lightning showing up on the detectors. Hurricanes aren't retired for being on a crazy train. I'd be surprised if Hermine was retired, same goes for Alex and to an extent, Otto. [cue the scifi (musical) harp bkgnd music] it (the hype) was just shifted by the device in my imagination...or just coinkydink. i saw the USC (football) game, palm trees swaying with heavy sprinkles ...even rain? for upcoming week drive safely as first cooler rains might bring up the baked- into asphalt summer oils on the roads. Oh, I'd like to add this to Cyber's list of notable achievements from 2016: the Caribbean saw three hurricane landfalls, the highest such number since 2008, when Gustav, Ike, and Paloma struck Hispaniola and Cuba, respectively. I mixed some new names in there, many already being put there before. Matthew isn't a contender. He's flat out gonna win no contest. A scary/sad observation while scouring hurricane archives - Every Category 5 storm recorded in the North Atlantic basin managed to cause damage and life loss. Only one Cat. 5 managed to avoid getting it's assigned name retired, and that was Carol 1953 which still caused damage and life loss. All the others had their names retired or were worthy of having their names retired (really old hurricanes that had the name of the area they landfall). The "0.00" in Palm Springs, is what sent me packing to Seattle! Looking at the area, doesn't look like Joe will have gotten too much, unless he happened under a sweet spot. Happy there is any for you guys! Been getting various reports from my friends from San Diego to San Francisco, but all good ones when ANY rain is involved. Now you know why I don't glorify storms east of the Lesser Antilles. Unless they head into the heart of the Caribbean itself, the most land impact you're typically gonna get is gonna be in Bermuda. 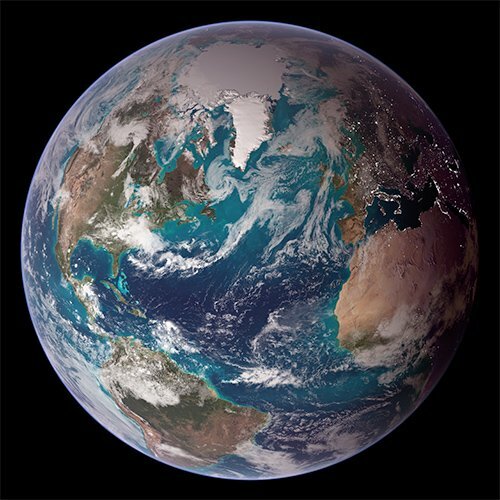 There's a ton of troughs from Africa to the United States, and usually even a couple in the central Atlantic between there and the Lesser Antilles. People have misconceptions that bridging highs are common, but they're not. Get me a storm south of Hispaniola like Matthew, then we'll talk. Was a quarter inch shy of 9" of rain for Nov when I posted last night. Didn't think I'd be over 10.5 today! Wet, wet and more wet weather this fall here in Acme WA. 21.5" since the beginning of Oct. Still waiting for the snow to fly. Remnant of Otto headed toward the fount of a subtropical jet streaming toward the central US. Another surge of moisture pushing into California right now. Frequent showers tonight here in the SF Bay Area and along the coast with moderate snow being reported down to 5000 ft in the Sierra at Blue Canyon, and also at Tahoe. Subtropical jet being directed toward the central US by the cold front that pushed thru CA earlier this morning (Sat). An almost-tropical storm is about to cross Gibraltar, from Atlantic into Mediterranean. "WX Geeks" host Marshall Shepherd reflects on this "year-long" hurricane season in a Forbes essay published Friday. Dec 1 is the beginning of the Southern hemisphere season... I haven't even seen their outlook yet..... I'm behind! Certainly "99L" would have to be retired from invest numbering lists. 1990 was a non-event for the US but it was a high impact year for Mexico with Hurricane Diana and the Lesser Antilles with Hurricane Klaus. Both of those names were retired. 2010 was also a quiet year for the US but was a high impact year for Central America and the Caribbean with Hurricanes Alex, Earl, Karl, Richard and Tomas and with Tropical Storm Nicole all killing hundreds and causing billions of dollars in damage. But in my context, a "big season" is based on ACE and not landfalls especially only US-related. I think Otto should be retired just on the basis of its impact on Costa Rica, which unfortunately didn't get noticed in the blog -- 9, at least, dead, and a lot of (mostly uninsured) damaged infrastructure and homes. I hope CR will register a desire for retirement. Wow. Now I realize, how much I've got right with my 2016 hurricane season prediction. There has been a Cat 5 hurricane named Matthew, it has moved just offshore of Florida, and made landfall in Carolinas. There has been a hurricane landfall in the nature reserve of SE Nicaragua, and the system has entered Pacific as a tropical storm. The system named "Colin" existed June 5 - June 7. Florida hurricane drought has ended with a landfall on west coast. Of course, I have got many things terribly wrong, such as predicting a very active July. I'm sure there is. The Bahamas also experienced a Category 4 hurricane last year with Joaquin too. It's been a rough two years for you guys. Maybe Otto needs notice for being "Two-ways Otto" or something like that, for its palindromic name and for being named Otto on both sides of Central America. As far as impact goes, clearly the season will be remembered most for Matthew, and Hermine to a lesser extent. Matthew was pretty much a worst case scenario for Haiti. The US, luckily, was spared the worst, as was the case with Hermine, which could have turned out much worse if some initial model projections had verified. Still, it was the most impactful year for the US since 2012. Not to mention the "no-name" flood in Louisiana. NWS Slidell/New Orleans wording for tomorrow. Sea ice loss to blame, STUNNING past 26 day AVERAGE: Arctic seas 9 to 19 C above normal, N America 1 to 9 C above. Eurasia 1 to 9 C below. I haven't seen an environment this hostile since my last holiday with my in-laws. IMO the start of Atlantic hurricane season should be moved up to May 15 to match with the EPAC. The Atlantic has seen a May storm in 2007 (Andrea), 2008 (Arthur), 2009 (TD 1), 2012 (Alberto and Beryl), 2015 (Ana) and 2016 (Bonnie), which is 6 of the last 10 seasons. Wikipedia lists Otto as a category 3 is that a mistake? As of now yes. However, in post analysis some believe that it will be upgraded. I often wonder why there is an official start to the season. Unexpectedly, on November 24, it rapidly intensified into a Category 2 hurricane with winds of 105 mph and a pressure of 976 mb. Otto reached Category 2 status later in the season than any previous Atlantic hurricane on record. At around 18:45 UTC, Otto made landfall near the Nicaragua–Costa Rica border with winds of 110 mph (175 km/h), making Otto the southernmost hurricane to hit Central America on record. Otto also matched a 1934 hurricane as the strongest observed so late in the season. The NHC noted that the strength of Otto at landfall was "at least" 110 mph (175 km/h), suggesting that it could have reached major—Category 3 or higher—status. Has the blog been tweaking again? Storm rainfall total at my mountain Soo Cal location is .70" and looks like another wave coming through this afternoon. NWS San Diego rainfall totals . So far .70" rainfall at my mountain location in San Diego County Soo Cal. Having trouble posting the link for NWS San Diego area of responsibility for storm totals thus far. Have seen several 1"-2" totals so far in mountains and 1/4-1" Coast and Valleys....almost or better than the storm last week. Looks like more coming as another smaller/weaker waves comes thru this afternoon. Sorry for the long double post.....Blog did post my link, it just hung up on my end......More scattered showers on the way....they look weak but get orographic lift and turn out better than they look on this radar which is actually from Bakerfield CA which is a ways from San Diego. Yes, this is for entertainment purposes only. I looked at this same exact model run yesterday and it had almost the entire country way above normal for December 12 and now it has completely flip-flopped and shows an artic outbreak across the entire country. This model is not reliable at all that far out in advance. Remember this map for December 13th in your mind and then compare it to what it says 3 days from now, 7 days from now, 10 days from now and then look at what actually transpires on the 13th of December. You will then give yourself a good laugh. 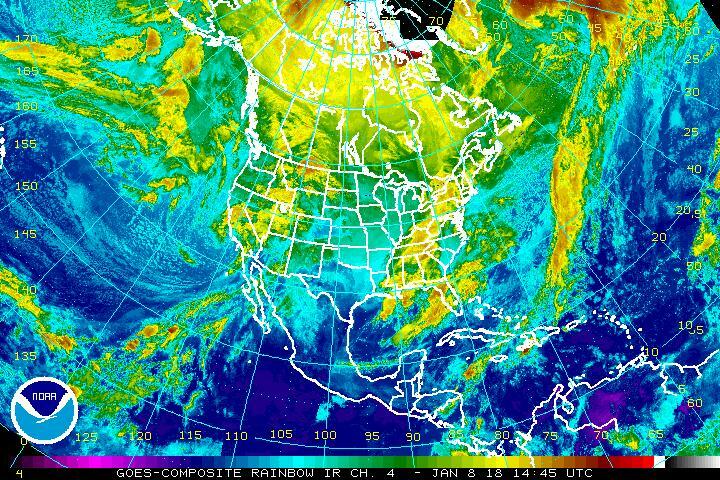 I would love to know where this cold air is supposed to come from, there is no cold air in Canada, none in the north pole, even Siberia has moderated as well. I don't see this happening, at least not of this magnitude anyway. We shall see, and probably laugh too. Excellent. I think you've got it. Hurricanes are expected all year around; the naming starts in January 1 and ends in Dec.31, so no need for another notion. Ongoing Otto. Its remnants seem to be Organizing. Matthew is certainly going to be retired. Belize or Mexico might ask for Earl. Belize because Earl damage was the worst since Iris and Mexico because of the huge death toll for them. Mexico dont usually ask retirements for damage like it was the case for Alex and Karl in 2010 but they do when it comes in death toll , So I am not going to be surprised if Earl is also axe from the list. Otto might be gone too if CR ask for retirement as damage is expected to be high, those are my thoughts for now. Just wanted to shout out to Astrometeor -- I noticed you attend Millersville University; I graduated from there many, many moons ago -- so long ago it was called Millersville College back then! Good luck with the end of your semester. I want torrential rain to erase the ridiculously big oct/nov deficit! I see Matthew being retired (doesn't everyone?) but I don't see any other worthy candidates for retirement. The new page has improved functionality and many new maps. Enjoy! Hermine did more the 100million in damages to Pasco County alone and then went on to wreck millions in Pecans in GA and more in crops in NC. I think it's a shoo in for retirement. Hundreds of Veteran are heading to Standing Rock..self deploying to protect the Water Protectors. I'll respectfully disagree--Hermine was a Cat 1 and didn't produce catastrophic damage or many fatalities. Not worthy of retirement in my opinion. After decades of fruitless investigation, it now appears that all 200 people died from a sudden and severe hailstorm. Depends on the standards of affected country. Earl is a good candidate for retirement, since Mexico experienced such a high death toll. I guess there is no precedent to show, how keenly Costa Rica or Panama requests retirement? In their local context, the damage and deaths from Otto were likely to be exceptional. I disagree. The official start of the seasons is astronomical. Not that it really matters. It's been raining, a lot. RAINFALL AMOUNTS GENERALLY RANGING FROM .75 TO 3 INCHES HAVE BEEN OBSERVED ACROSS MUCH OF WESTERN WASHINGTON SINCE FRIDAY. THIS HEAVY RAINFALL ADDS TO ALREADY SATURATED SOIL FROM RAINFALL OVER THE PAST SEVERAL WEEKS...WITH ADDITIONAL RAINFALL EXPECTED THIS AFTERNOON AND TONIGHT. THIS WILL CONTINUE TO PUT EXTRA PRESSURE ON SOIL INSTABILITY...LEADING TO AN INCREASED THREAT OF LANDSLIDES. FOR MORE INFORMATION ABOUT CURRENT CONDITIONS...VISIT WWW.WEATHER.GOV/SEATTLE...SELECT HYDROLOGY...AND THEN SCROLL DOWN FOR THE LINKS TO THE LANDSLIDE INFORMATION PAGES. TO REPORT LANDSLIDES TO THE STATE FOR TABULATION...GO TO THE WASHINGTON STATE LANDSLIDE RISK WEB PAGE AND THE LINK FOR REPORTING. Check out the USGS pages here. We are well above the minimum antecedent conditions to produce landslides. Here's hoping for a break soon. Was at the Bucs/Seahawks game today. The flyover was a NOAA Hurricane Hunter jet. I have a video but I'm having trouble getting it loaded. Btw, nice win for the Bucs. Beautiful weather at the stadium today. Matthew and Gaston almost perfect! Looking forward to seeing your prediction next year. But to be honest, I doubt it will happen. Dominica will take it all as usual lol. A hint of discrete cells ahead of the cold front/squall line in southwest Lousiana on the 00Z HRRR. How many anti Winter Storm naming people did I trigger? Excellent analysis the standards vary by country. You might find a analog for Costa Rica. Cesar in 1996 produce a much higher monetary damage in CR than Nicaragua it also kill 39 with 29 missings. Imo CR was the one that ask for the name instead of Nicaragua. Nice rains for Soo Cal especially in the mountains where orographic lift squeezed more rain out. We will take it gladly. Its the NAM wouldnt even trust it 24 hours in advance. what ever happen too Hurricane Paloma? it had winds of 145 mph it Formed NOV 8th and Dissipated nov 14th wont Hurricane Paloma make it the strongest hurricane for so late in the season and otto the 2nd strongest ? Thunder Asthma deaths in Australia. WxU mem Eloie??? brought this up (well as to first place) 2 days ago, lets see how its researched...maybe MamaNana will throw in a wintwer season TS just to add to the conversation. Good morning all!! Winding down to the finale of a rather eventful 2016.... we hope! I still would not be surprised to see another named system, but I'm thinking probably not .... 😁 Cool and breezy here this morning ... gotta get going! They only have one jet, so it must have been THE jet :). Glad the Bucs won :P.
283. Otto was the most intense hurricane recorded in the Atlantic so late in the calendar year even though it wasn't the strongest Atlantic hurricane recorded in the month of November. 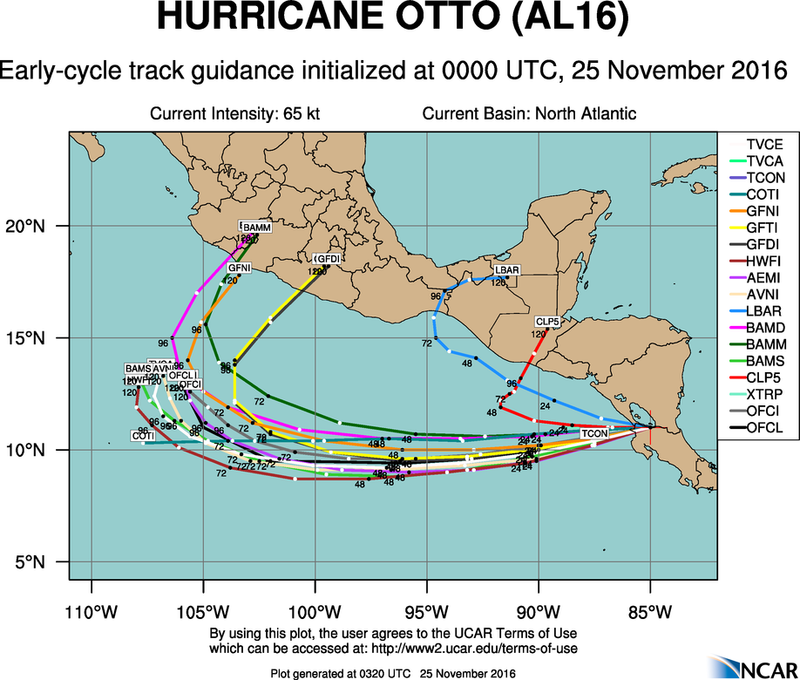 Otto formed nearly two weeks later than Hurricane Paloma in 2008 and reached its peak intensity a week later than Lenny did in 1999. Good Morning Folks; nice to see some rain around North America this week; not enough pursuant to the Drought Monitor issued on Thanksgiving morning but a little bit of rain in a very tall bucket: I drove through South Georgia into Atlanta for Thanksgiving on the same route I have driven for the past several years because of all of the beautiful fields (veggies and cotton). This drive, all of the grass and pastures were yellowish from the lack of rain as opposed to the nice green you normally see; the drive was green just six months ago. Interesting times ahead in the N Indian Ocean basin. By t=240h, there is possibly "Cyclone Nada" in Arabian Sea, currently Invest 91B, after it has hit northeastern part of Tamil Nadu and traversed the peninsula. Meanwhile another system becomes possibly "Cyclone Vardah" in the Bay of Bengal, moving towards Bangladesh. Neither should be extremely strong system. Agree, unless you read "Poor Richard's". ugghh...gonna be one of those messed-up timeline days. The full circle 360 rainbow was Dr Masters first ever blog entry,..or #1. It's very cool 72, feeling like 72, cloudy and rainy on the island at the moment. Am so glad that Cariboy is getting some of this! I do believe it's time he got a share of the mosquito population too :-} All this is doing for me is reinforcing the cistern - not that I'm complaining because I know that harder times are on the way, sooner rather than later, BUT I do miss swimming and the beaches! Water run off pollutes the beaches and I won't take a chance on picking up something. I've been busy collecting pieces of different hibiscus plants, growing them in pots, and then creating hedges around our property. My plan is coming to fruition and will be so beautiful when they all catch up with each other. Hoping things are good with all you folks out there! We're right around 4000' (3970) and we got a light dusting yesterday. Highs in the 40's, the greenhouses stayed pleasantly warm even with the mostly cloudy conditions. The first name on the list is "Ahriman". The rain is here and falling non stop since early this morning, but intensities are moderate (18mm so far at best... :/). I won't be surprise if we don't even get to 2" and the sky clears out this afternoon :( The big convections want to miss us. 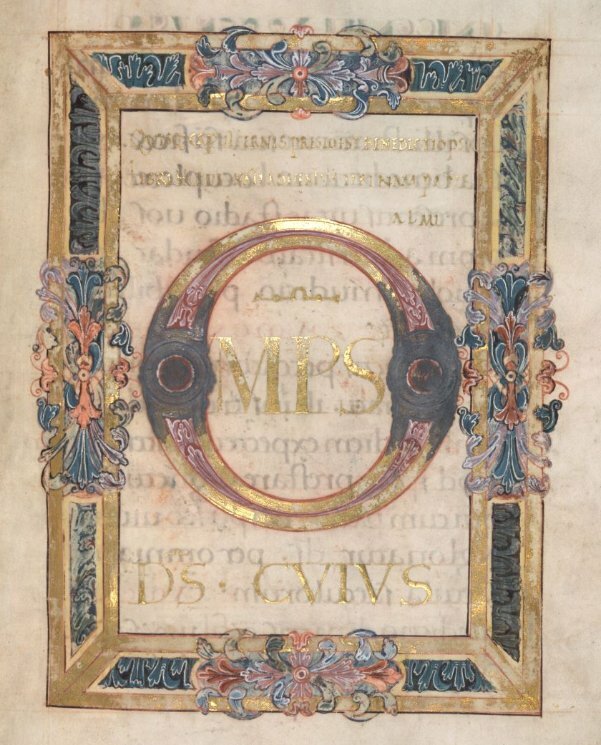 First blog ever? Oh no. Gonna hafta hold on TIGHT to today. Timelines keep getting looser and slipperier. Active shooter Ohio State. Seven taken to hospitals. Winds gusting to 48mph about 90 miles SE of Galveston. Gale warnings in affect for offshore waters. and there's the glitch in today's timeline... I knew something bad was gonna happen.